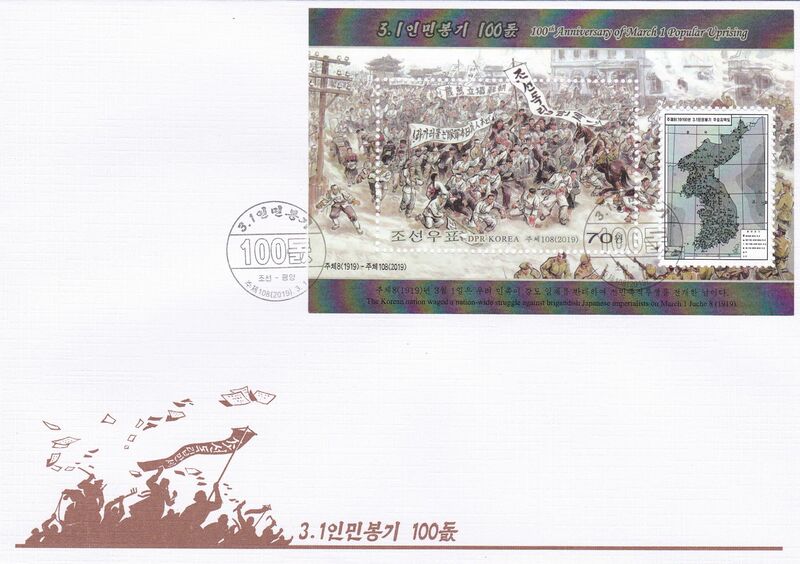 L9783, Korea "March 1 Popular Uprising Against Japan" Stamp FDC, 2019. MNH, please see the pictures. 1 Pcs Miniature Sheet Stamp for "100th Anniversary of March 1 Popular Uprising Against Japan". First Day Cover.